There are days when Vancouver is not all green and blue or gray: some days, like late summer, it can be perfectly golden. 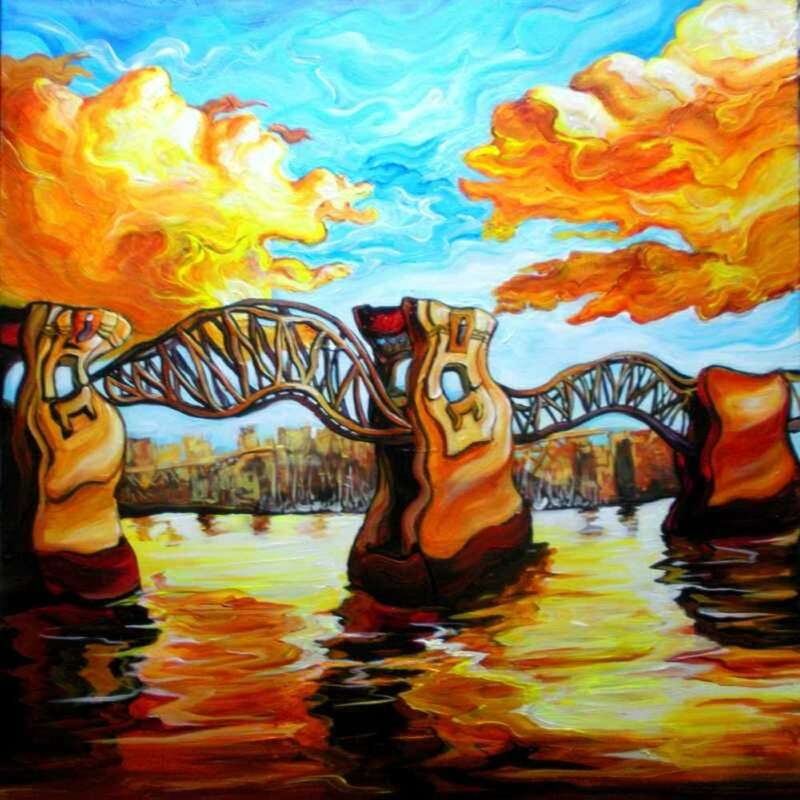 This shows Burrard Street bridge with dragon-fiery clouds and temperature tenseness. There is only a week or two every summer in Vancouver when we really *need* air conditioning, but, boy, when we need it, we need it. This is one of those days.